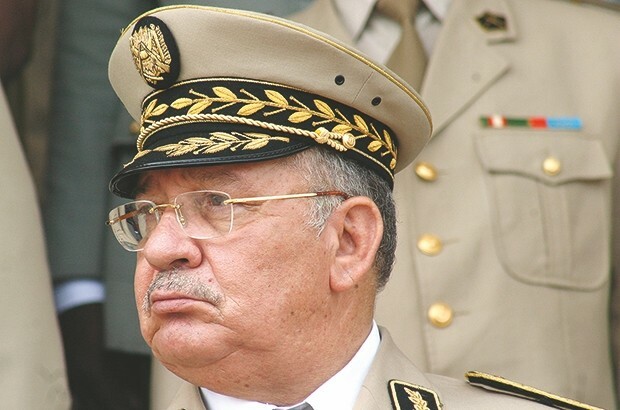 The head of the Algerian army Ahmed Gaid Salah Tuesday pledged that his forces will double efforts to ensure that Algerians enjoy their full rights at present and in future, few days after forcing his former Chief Abdelaziz Bouteflika to step down. “The army (ANP), thanks to Allah The Almighty, will continue to make further efforts for the durable promotion, supported development and the mobilization of its various components in view of warranting the legitimate right of the Algerian people to enjoy a total peace for the present and future of its country,” Salah said in a statement release by the army. The Chief of staff has emerged recently as the country’s strongman after he forced former President Bouteflika to step down amid calls by the streets to do so. Salah late last month dropped his backing for the ailing former leader as he asked the Constitutional Council to declare 82-year old Bouteflika unfit to run the country on the basis of the article of 102 of the constitution (CC). Bouteflika Tuesday last week tendered his resignation in presence of Salah and the CC’s head. Salah’s pledge to guarantee the full right of Algerians came as Parliament confirmed leader of the upper chamber of the legislature Abdelkader Bensalah as the country’s interim President for 90 days. Bensalah, a close ally of the former President vowed to organize elections that will enable Algerians to elect democratically and freely their future leaders. The opposition and protesters have rejected Bensalah’s election, with thousands of students taking to the street to denounce the vote. Tear gas and water cannons were used in Algiers to disperse the demonstrations. Posted by Khalid Al Mouahidi on April 10, 2019. Filed under News. You can follow any responses to this entry through the RSS 2.0. Both comments and pings are currently closed.